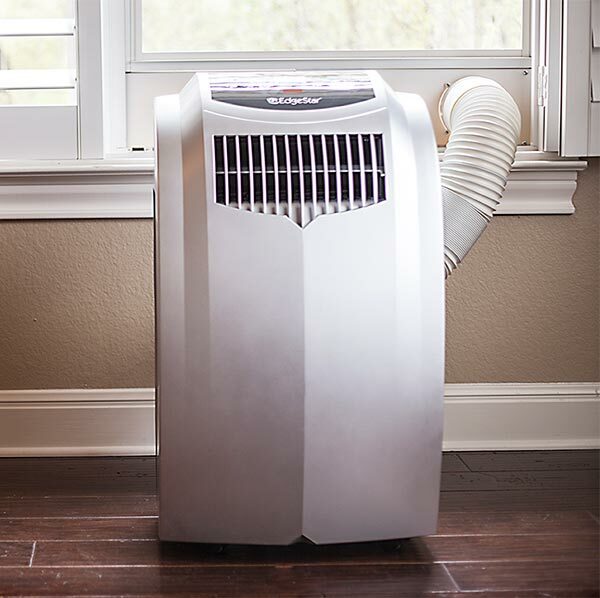 Portable air conditioners are great alternatives for rental properties, moving it from room to room or supplemental cooling for central HVAC systems. 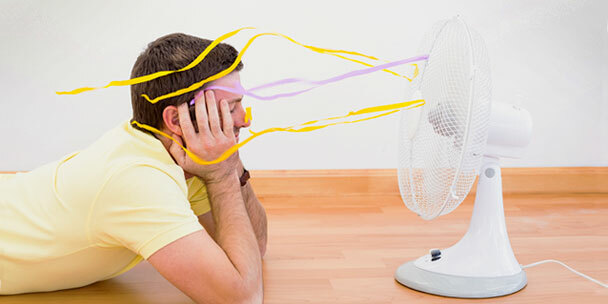 Once you’ve decided that a portable air conditioning unit is what you need, we’ve got five great tips and tricks to ensure you stay cool all summer long. This is extremely important for the proper operation and maintenance of a portable air conditioner. The exhaust hose that is used to vent the hot air out, whether it be through a window, sliding door, or drop ceiling, should remain straight without any twists or kinks. Do not try to extend the exhaust hose either—it should remain as short as possible to ensure maximum efficiency. Most exhaust hoses are 4-7 feet long which should provide you with sufficient room to reach a proper venting area. 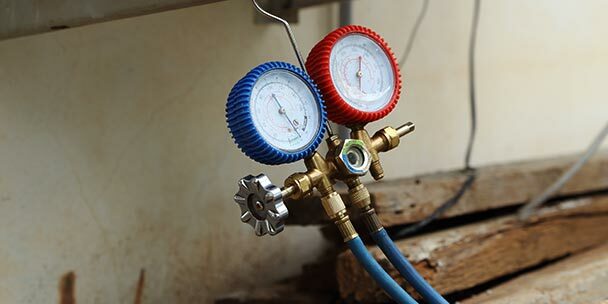 Keeping the hose short and straight will also prevent excess moisture from building up, which could seep inside and cause internal damage to the unit. Portable air conditioners work best in closed spaces. Be sure to keep the door closed if you’re using it in a bedroom or basement, so excess warm air is not being introduced and the cool air can continue to circulate. For open floor plans, like kitchens and living rooms, we recommend you take into account the entire combined space when calculating the square footage. Further, try placing the portable air conditioner in a corner of the room that doesn’t get any direct sunlight. It has to be by a window to vent, but if possible, choose the coolest corner of the room so the unit doesn’t overheat. Turn on the portable air conditioner a few hours before you need it. It’s more effective and energy efficient to turn it on during the early morning or late afternoon hours, when the temperature is cooler. 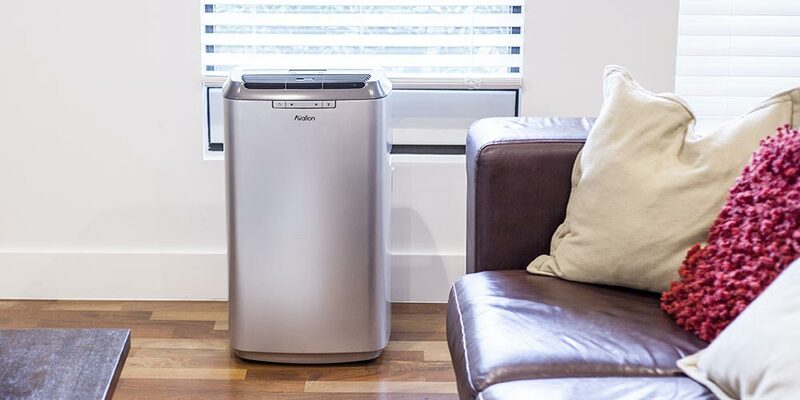 The portable air conditioner won’t have to work as hard to cool the room down. A lot of portable air conditioners have a timer feature that you can program to turn on/off at the times you need. One of our favorite portable air conditioning units with a programmable timer is the Koldfront PAC1401W. 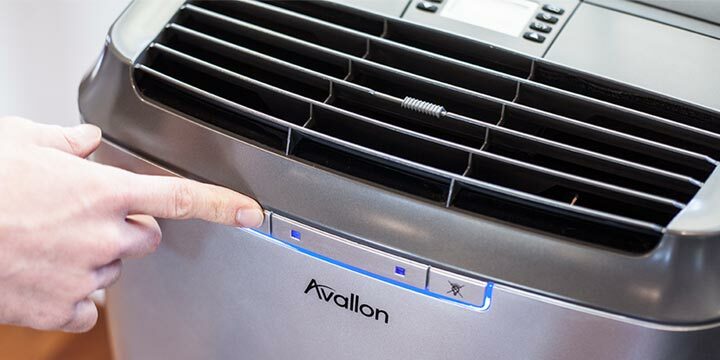 With 14,000 BTU’s of cooling power, this unit is compact, powerful and packed with a whole host of features. Because it also doubles as a 70-pint dehumidifier, it is one of the most popular units amongst consumers as a whole. Take advantage of one its many special features, including setting the programmable timer so your unit turns on at a time of your choosing and your home will be cool by the time you get home from work. Eliminate any unnecessary heat sources. Unsuspecting sources, such as some light bulbs and electronic equipment, can emit heat. While it may not seem like much heat, it can still make your air conditioner work harder to keep your home cool and comfy. To prevent this, try turning off lights, televisions, computers, small kitchen appliances and other small sources of heat. Additionally, think about your daily routine. Perhaps instead of using the oven to make dinner, you could use your microwave instead. While a complete revamp of your lifestyle is an unreasonable expectation, making small changes such as this will make a big difference when it comes to cooling your home in a more efficient manner. 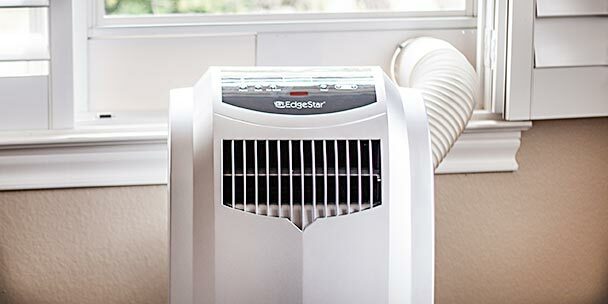 Once everything is turned off, a portable air conditioner will be able to cool the room down quicker. 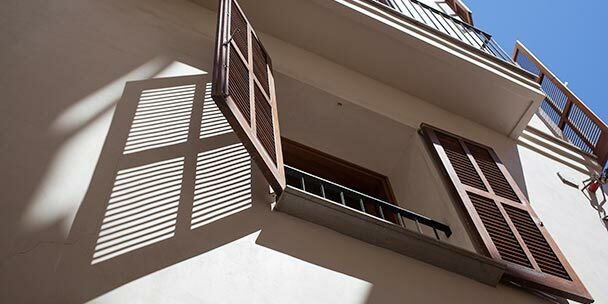 We do recommend using a ceiling or floor fan which will help circulate the cool air quickly. The portable air conditioner and fan will work in conjunction for quick cooling. So give your kitchen a break and turn the oven off, go outside to grill and come back in to a cooled down room. Regularly cleaning your portable air conditioning unit is one of the most important things you can do to keep it in proper working condition. Like most essential household appliances, the importance of proper maintenance simply cannot be stressed enough. When it comes to portable air conditioners, there are a few areas that need to be routinely checked-out and cleaned, if needed. First and foremost, the filter in the A/C unit needs to be cleaned or changed on a regular basis. Unfortunately, the frequency in which you need to change or clean the filter depends on the air conditioning model you own. Some units recommend cleaning or changing the filter on a weekly or monthly basis, sometimes the filters can last for a few months before needing attention. The frequency may vary based how much you use the device. In order to know how often you need to clean or change your filter, it’s recommended that you refer to the owners manual, because as stated above, it will likely vary from model to model. Washable filters can be rinsed with warm water or mild detergent, and left to air dry before placing it back in the unit. Carbon filters and antimicrobial filters can be disposed of and replaced. These filters are usually sold separately but can help remove smoke, odor, mold and other allergens, in addition to helping cool the area. Second, it is wise to vacuum out any dust or debris that has accumulated within the vents. Any particles that are stuck in the vents may impede the overall air flow of your unit, which will not only lead to a degradation of its overall efficiency, but also overwork the unit which may then lead to a shortened lifespan of the appliance. To avoid this, and ensure you get the most from your portable A/C unit, we strongly recommend cleaning the vents out at least once a month during high-usage months, especially during the summer when you will likely use the unit the most. Lastly, wiping down the casement with a damp cloth will help maintain the overall life of the portable air conditioner. Ask any homeowner, a little TLC goes a long way for the appliances, such as portable air conditioners, that you depend on to get you and your family through the day-to-day routine. By following the five usage tips and tricks listed above, you’ll be able to properly set up, maintain, and enjoy your new air conditioning unit for many, many years to come! I’ve never used a portable air conditioner before, but I feel like it would be really handy on those really hot summer nights, because sometimes your A/C just can’t get to some parts of the house as well. It makes sense that you should turn it on before it gets too hot. Sometimes we don’t think about it till we’re already baking inside! That’s why planning ahead is always best. I live in Florida and thought I could use 2 portable units to cool my 700 sq. ft trailer.My central ac unit died and I don’t have the money to replace it. I was wrong.In mid-day heat the house is 85 degrees or hotter & I’m using all the tips listed here & my electric bill really isn’t much less.These units are running at full power 24 hours a day.I made a big mistake here. Washable filters would be a really nice to have. I always seem to forget to get new filters for my AC. So, it would be nice if I could just reuse some of them. I wonder if I can get washable filters for my current system or if I would need to install a new installation system. 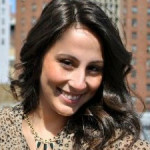 Thanks for the tips on how to install, maintain and use a portable AC unit! It’s great that you mentioned, under “straighten the exhaust hose”, that the AC hose should not be extended and should be kept as short as possible. Doing that would ensure maximum efficiency. I also enjoyed that you have a TL;DR section that basically sums up into, proper TLC goes a long way for appliances. I’d be sure to follow your tips and take care of the machine. I’m planning to get a portable AC soon with my wife, so it’s great that I’ve found this article. Can portable be ran 24/7 ? Do they need to rest ? Brand new porable air conditioner. Why is my conditioner sweating.. The first time i used it. No sweating. Second time sweating. Can you tell me why? How do you keep the hose on?? I wrapped heavy duty electrical tape around the hose and the insertion hole. It stays put really well. My LG air conditioner keeps the 1000 square foot ranch house cool. We bought a portable AC unit 6 years ago and it’s still going strong! 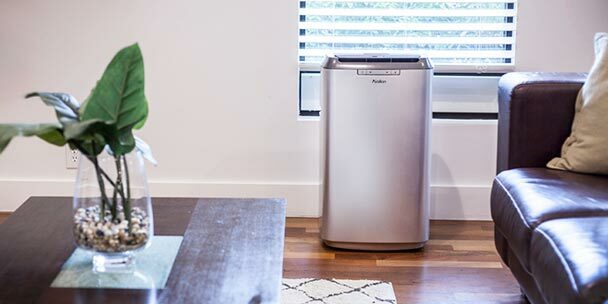 We love the fact it has a dehumidifier and it really does cool very well, much better than our huge window AC. We live in extremely humid hot conditions and we are blessed to have chosen the portable AC, as water drains we pour it off into our plants and garden so that is also a plus!